With its sophisticated silhouette and woven of high quality man-made fibers, this collection has both style and durability. It is weatherproof and maintenance-free so you can leave it outdoors year-round. Large space? No problem. 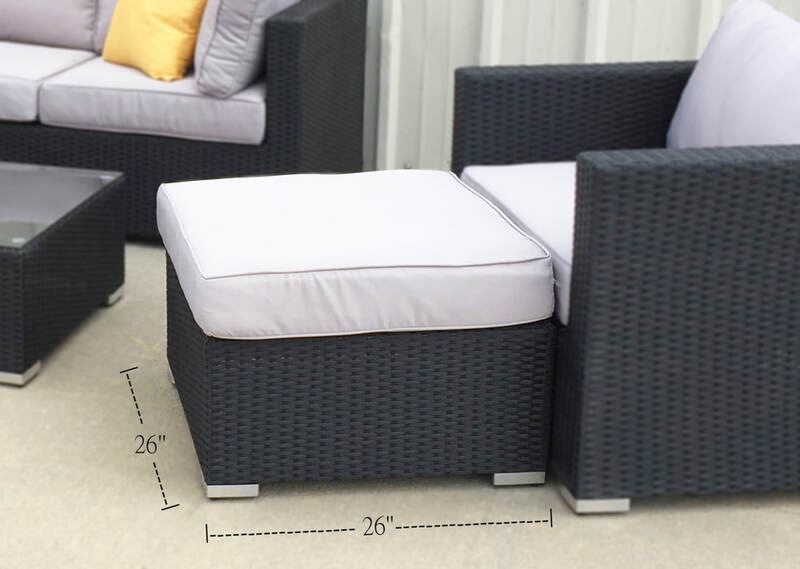 ​Add seating space with individual pieces (sold separately) to built your own outdoor paradise. 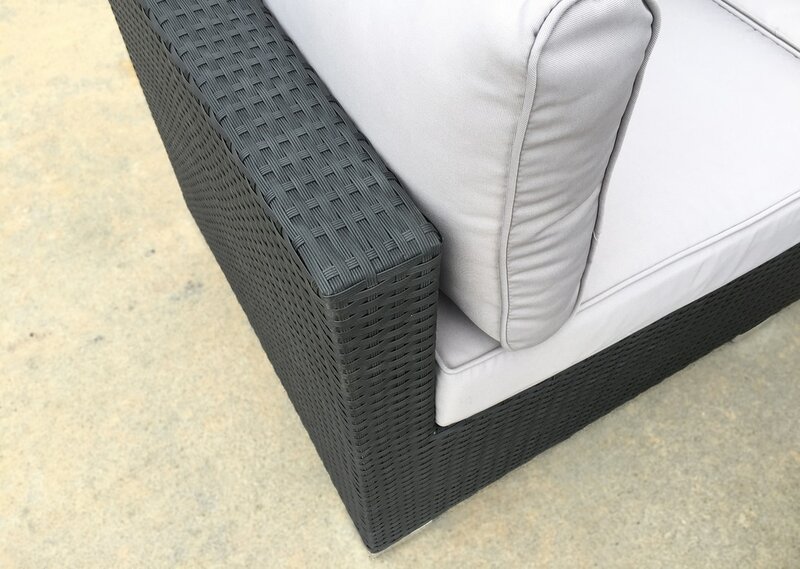 AVAILABLE IN GrAy cushion color and black wicker. 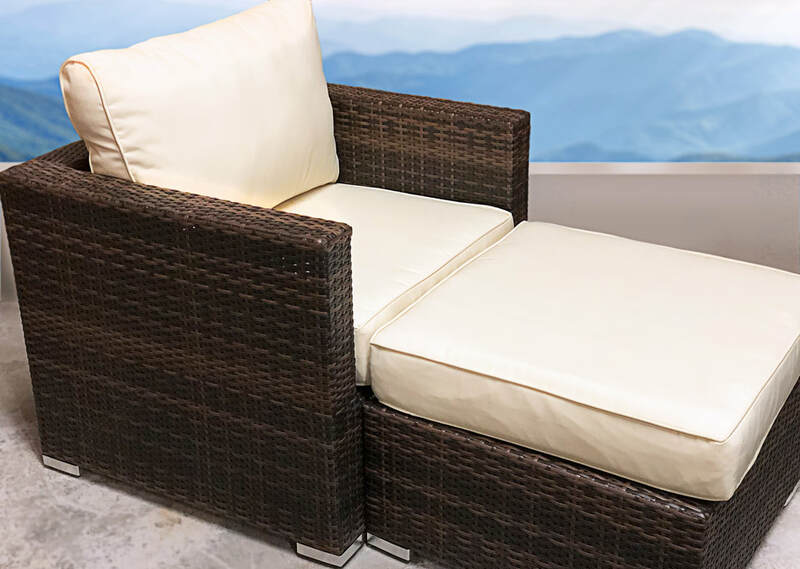 AVAILABLE IN BEIGE cushion color and BROWN wicker. 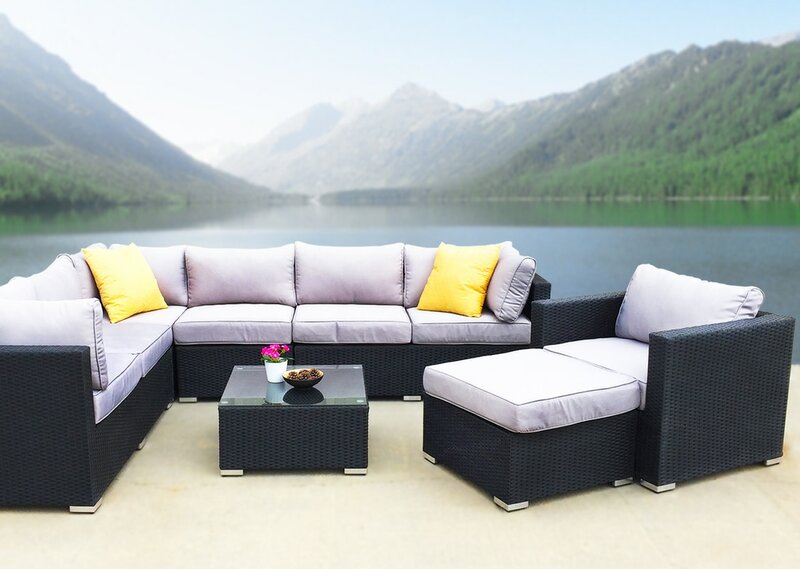 Woven of durable polyethylene synthetic which is remarkably resistant to sun, rain, heat, and cold. Cushion cover fabric is UV-resistant and water-repellent. Remove easily for machine washing. Outdoor cover is available for purchase. 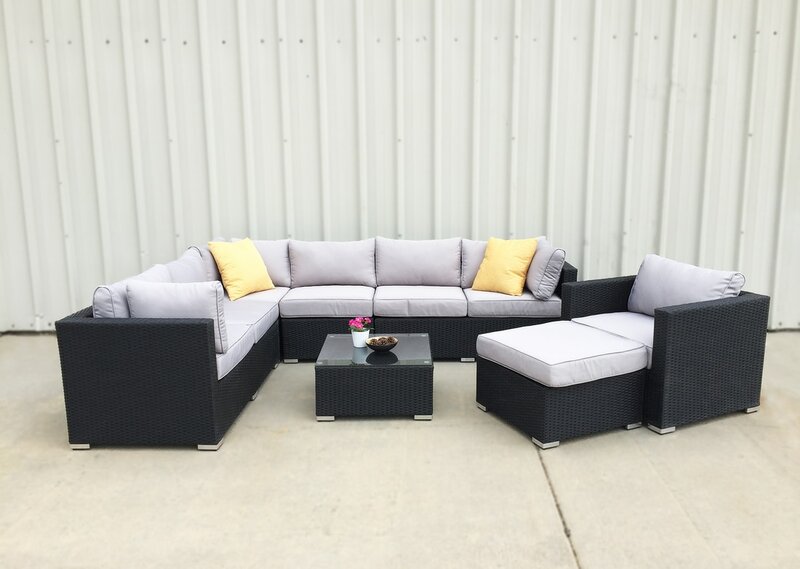 "I purchased the sectional couch, coffee table and lounge chair in the spring and we use them everyday! They are so comfortable and lightweight it makes them very easy to move around. We also got extra cushion covers in grey that were very affordable. The service is very friendly and for the price is right!" 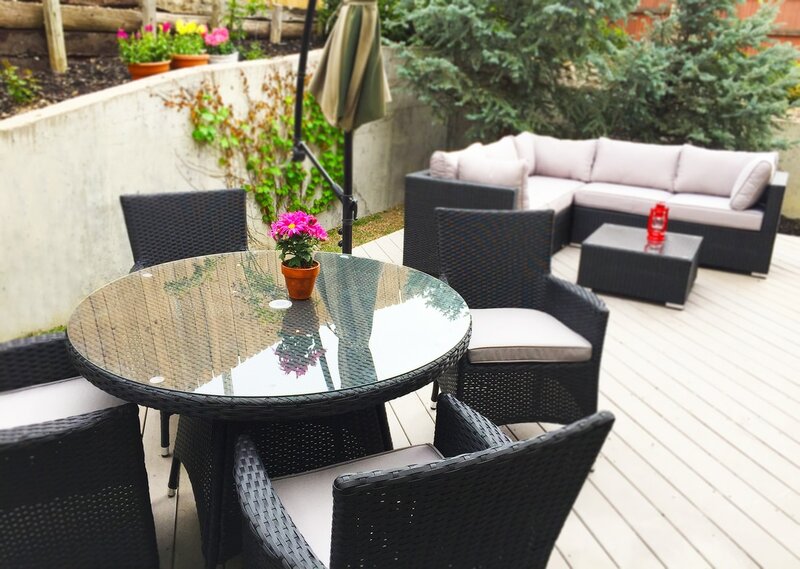 "We just got a great patio set from Kestas at KB Furnishings. His space is a warehouse and may seem unusual, but don’t let that deter you! I did literally hours and hours of research to find a good, high-quality set and this one was by far the best deal we could find. Kestas communicated well, and delivered the set to our door - no assembly required. 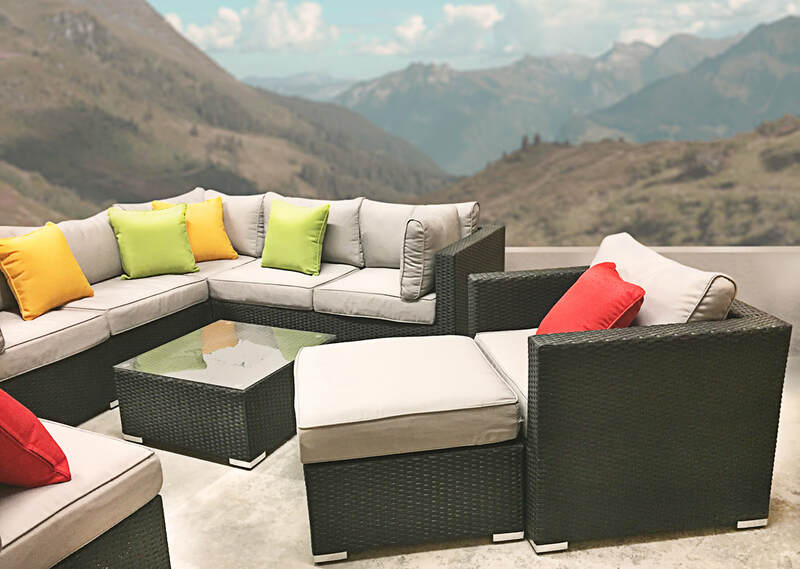 "My wife and I wanted to thank you for the amazing service we got from KB Furnishings while shopping for our deck patio furniture set, firepit, and outdoor dining set. You had a great selection of pieces, helped us with space planning and layout, and your white-glove delivery was amazing. Lastly, you pricing was about half when comparing prices to the mega-retailers who just think of customers as a number. 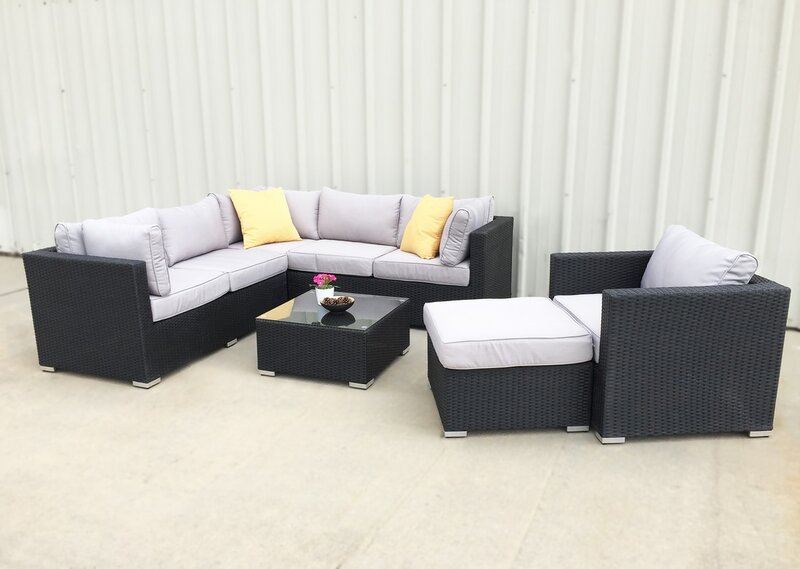 We loved the personal service and will highly recommend you and KB Furnishings to our friends and neighbors."